Shake Shack: Where Are They Now? Last week, news broke that Shake Shack CEO, Randy Garutti is joining the Board of Directors for mobile point-of -sale company, Square. Previously focused on credit card payments, Square is expanding into employee management software with an emphasis on retail and hospitality, making Garutti a great addition to its board.What makes Garutti an asset for Square’s new hospitality direction? Well, first of all, Garutti has been in the hospitality industry since he was 13 years old, serving up bagels at a shop in New Jersey. Since then, he’s done everything from waiting tables to traveling abroad and studying different food cultures. He has a degree in hotel and restaurant management from Cornell University. But perhaps what is most impressive is the fact that Union Square CEO, Danny Meyer gave Garutti his stamp of approval after only a 45-minute-long chat about Garutti’s passion for the industry. "I saw a guy with more enthusiasm in his little finger than most people have in their entire body, and he was oozing love for the restaurant business, especially fine dining restaurants," Meyer told The Street. Garutti worked his way up to Director of Operations for Union Square after only five years with the company. In 2001, he helped Meyer launch a hot dog cart in New York City as part of an art exhibit in attempts to help revitalize the area. The team had no idea that it would later become Shake Shack, a fast casual burger company with more than 130 locations worldwide. So how did this billion-dollar burger empire grow? 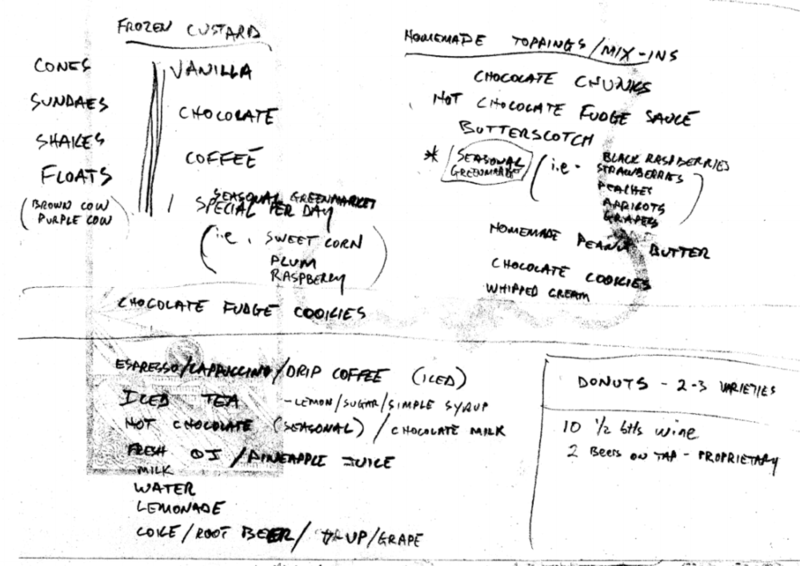 After a few years, the hot dog cart in Madison Square Park had become so popular that when the city began taking bids for a permanent kiosk-style restaurant within the park, Meyer immediately began sketching his idea for the space on a paper napkin (which Garutti still has to this day.) It was around this time Meyer asked Garutti to take over the new company as CEO so he could focus on other facets of Union Square Hospitality. The first official Shake Shack opened as a permanent establishment in Madison Square Park in 2004 and is now the most iconic location for the brand. One ‘issue’ with the first location was the increasingly long lines. To combat that issue, the Shake Shack team decided to open a second location in the Upper West Side of New York City. Instead of shortening lines, the second location actually increased brand awareness causing lines lengths to continue growing. Overall, Shake Shack shows a slow growth model. The brand opened its first location outside of New York City in Miami in 2010; six years after the first. The next year, it became an international brand with the opening of locations in Dubai and Kuwait. In January 2015, Shake Shack went public with its IPO priced at $21 per share with 63 locations. Trading began at $47 per share and hit a high of $92.86 per share in May of that same year. Foodable spoke to Garutti back in 2014 when Shake Shack had less than 40 locations. Since then, the core brand hasn’t changed aside from its size. Their dedication to ‘good food’ rings true as they boast 100% all-natural, humanely-raised Angus beef, 100% all-natural cage-free chicken and crinkle-cut Yukon potatoes, with zero artificial ingredients. Garutti’s hard line has brought a culture similar to that of a fine dining restaurant into the brand’s DNA. Shake Shack opened 26 new stores this year and though that may seem slow in comparison to fast casual restaurants like Mod Pizza or Freshii, it is in line with the Shakes slow growth strategy. Square is the fastest growing POS system in food service. What are they planning for the future? Could they be aiming for the casual dining sector? At-table payments? These are some of the questions many industry professionals are asking themselves. One this is for sure, Garutti's experience in multiple guest-experience restaurants makes him uniquely positioned to help Square dominate the point-of-sale market.